In a trial that concluded today, a defendant was found guilty of gross vehicular manslaughter from a 2013 collision that killed two passengers and seriously injured another victim. 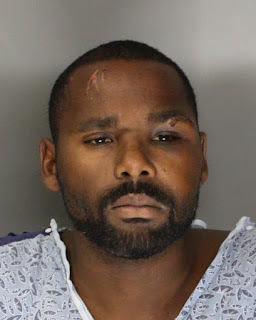 A Sacramento County Superior Court jury found Antonio Reddick, 33, guilty of two counts of gross vehicular manslaughter while intoxicated, driving under the influence of alcohol or drugs with great bodily injury, and hit and run. On November 4, 2013, Reddick was driving with his passengers, Cherion Robinson and Gregory Hunt. Reddick was stopped at a light at the intersection of Madison and Date Avenue when he suddenly drove into a car that was stopped next to him, hitting the front area of the car. Reddick then proceeded to run the red light, and continued to run another red light while speeding and driving recklessly. Driving at a speed of approximately 80 to 90 mph, Reddick ran another red light and crashed into a car driving through the intersection on a green light. The force of the collision sent Reddick’s car across several lanes and into a tree, killing both of his passengers. Ms. Robinson was pronounced deceased at the scene from a blunt chest injury and Mr. Hunt died several days later as a result of the injuries he suffered in the collision. The driver of the car Reddick hit in the intersection suffered serious injuries. Reddick also suffered injuries and was transported to a hospital. Analysis of Reddick’s blood showed a blood alcohol content of .09 percent along with presence of marijuana and methamphetamine. The jury also found that Reddick had suffered two prior strike convictions in 2008 for robbery and attempted robbery. Reddick faces a maximum sentence of 103 years to life in prison. Sentencing is set for September 1, 2017, before the Judge Laurel White. No Comment to " Defendant Convicted of Gross Vehicular Manslaughter, DUI Charges "